Much like the vehicle itself, the engineers behind the 2017 Jeep Wrangler are blazing new trails. This iconic off-road vehicle is scheduled to undergo a major redesign for the forthcoming model year, and by all indicators it will be bigger, badder, and better than ever. If you’re a first-time Wrangler owner or a long-time devotee, this should be cause for excitement. Learn what kind of 2017 Jeep Wrangler changes to anticipate once it arrives at Findlay Chrysler Dodge Jeep Ram. The new Wrangler is expected to retain the model’s serious off-road credentials while integrating modern materials and methods. The design incorporates new axles, new suspension geometry, and new exhaust parts, along with classic coil-suspended Dana axles on both ends. The Wrangler will also retain its boxy character but incorporate more aluminum into the body to lower the weight and improve fuel economy. Not much is yet known about the powertrain in the 2017 Jeep Wrangler, but a few intriguing details have leaked out. It’s likely to run on an eight-speed automatic transmission originally designed by Chrysler. And, depending on how much less it weighs, it may be available with a more efficient four-cylinder engine. Enthusiasts are also hoping that a diesel engine with lots of torque and solid gas mileage will enter the lineup. A Jeep Wrangler pickup could finally become a reality for the 2017 model year. Test models have been spotted on the roads, and the design appears to be fully developed. It’s believed that the pickup will run on a turbocharged four-cylinder engine that puts out around 300 hp. It will also likely have large tires and a large bed, giving it serious work-truck capabilities. And, of course, it incorporates the classic Wrangler look that remains so popular. The redesigned Wrangler is expected to arrive at dealerships late in 2016. 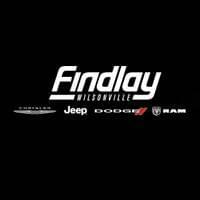 Experience the changes in person at Finlay Chrysler Dodge Jeep Ram located at 25600 SW Parkway Center Dr. in Wilsonville, OR. Don’t hesitate to contact us with any questions, or check out any of our .